Like most, summer meant the kids are out of school and probably consisted on taking plenty more trips than you would the rest of the year, even if that means traveling within your own state, the costs can still add up. While you’re still waiting for your final summer credit card statement to come in, now is the time when you can focus on moving-saving this fall and really start to see the savings add up, not only for your bank account, but to free up a little extra to help pay down that summer debt. As the purchases began to add up this summer, it could have gotten to a point where you didn’t even look anymore. If you take last month’s debit or credit card statement you can start to go through every purchase made to try and tighten up the spending grip a bit. 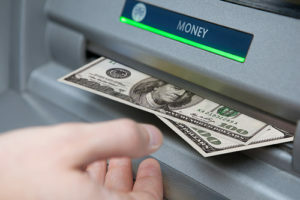 While there may have been a free pass for a few months, in order to stay ahead of your finances (or catch up, for that matter), each dollar going out should start to go under the microscope. Whether it was eating out on a patio, on the beach, or trying a new restaurant or two in a different city, it can be costly to go out to eat, especially the more mouths you have to feed. If you can start to go grocery shopping prepare meals at home, you can watch the savings pile up almost immediately, not to mention you’ll probably notice the pounds fall off just as quickly, as probably not the healthiest of meals were consumed this summer, on top of all of the frozen cocktails that have umbrellas in them as well. In order to really take the savings to the next level, it’s time for the unnecessary expenses to be cut. Whether it’s getting rid of the gym membership that you pay for every month but say next month will finally be the month you start using it, or even cutting the cable cord and opting for a streaming service. If you’re nervous about that, take a look at how many of the hundreds of channels you actually watch, not to mention live with commercials, which are probably few and far between compared to what’s on your DVR. You probably could live without cable, and just keep a streaming service to catch up on all the best shows and movies. If there’s ever a time to get free money you shouldn’t let it slip through your fingers. Even if you tighten expenses, there still is a card to be used to charge those, so why not make it the best rewards credit card out there so you can earn the most points or cashback just by making the purchases you were going to make anyways. This could add up to hundreds of free dollars a year that you could be leaving on the table right now.